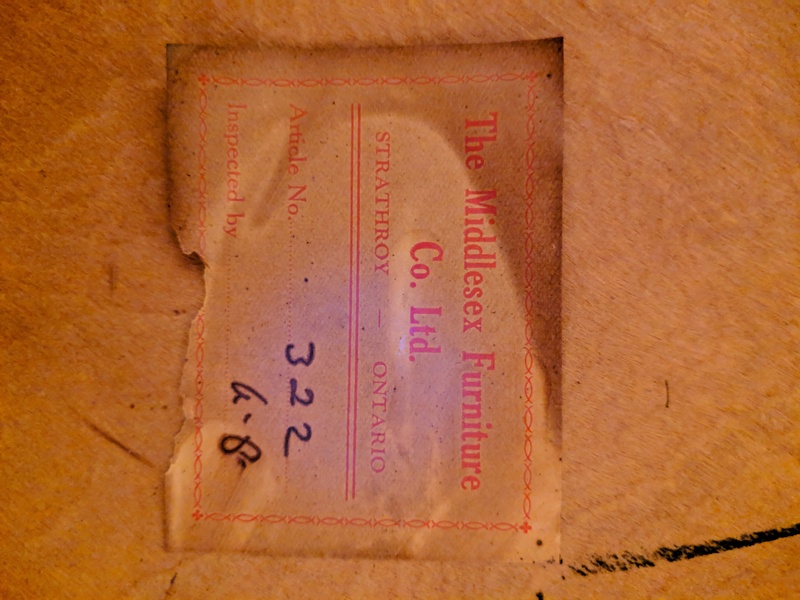 This is a Middlesex Furniture Company Ltd. dining room table with 4 chairs. 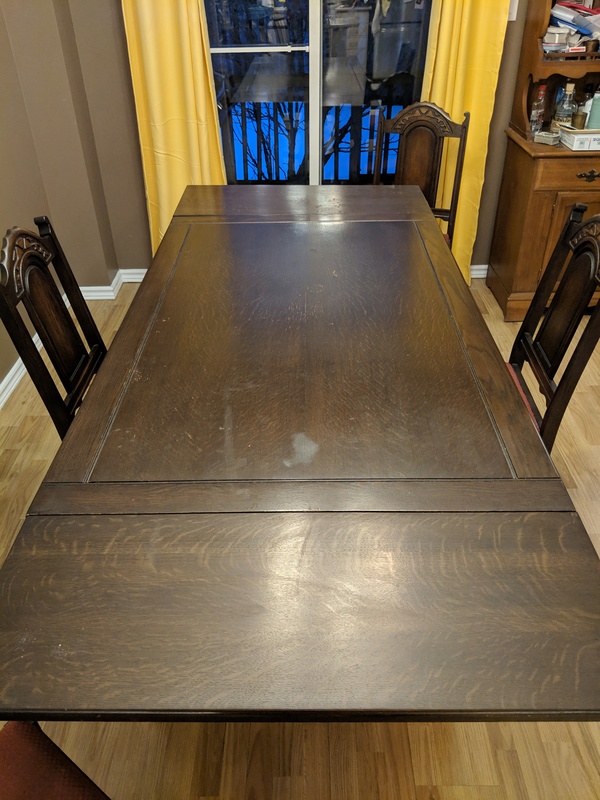 We estimate the table to be from the 1920s-- has been passed down to family members over the years. 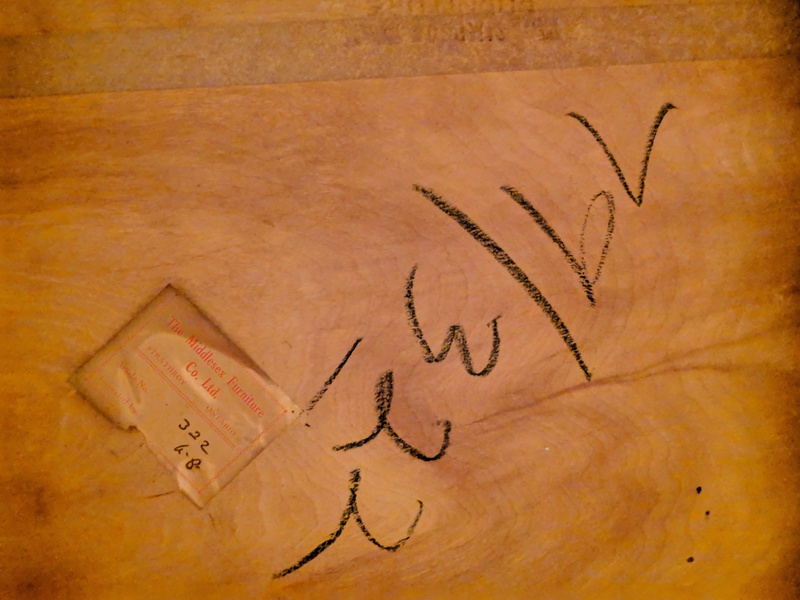 Each leaf is 13.75'' wide (there are two). 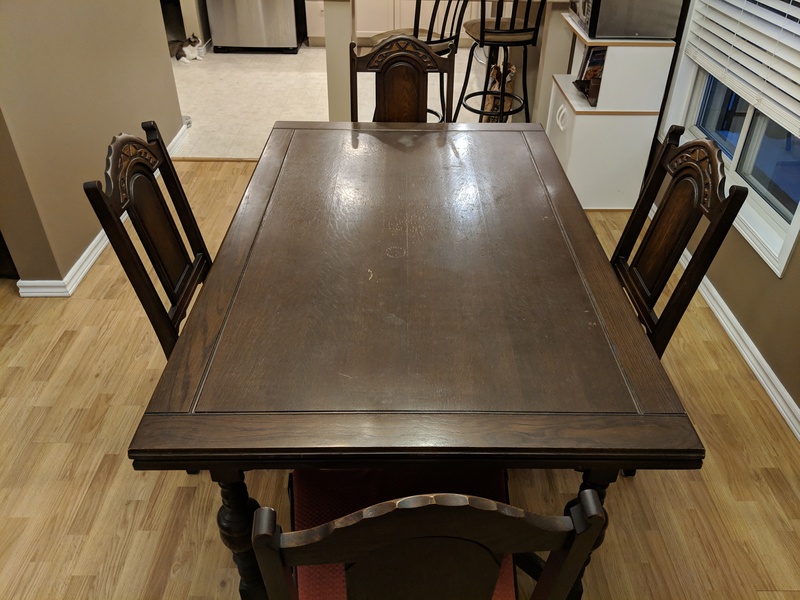 It is #79 of 322 tables of its kind made (see photos from bottom of table). 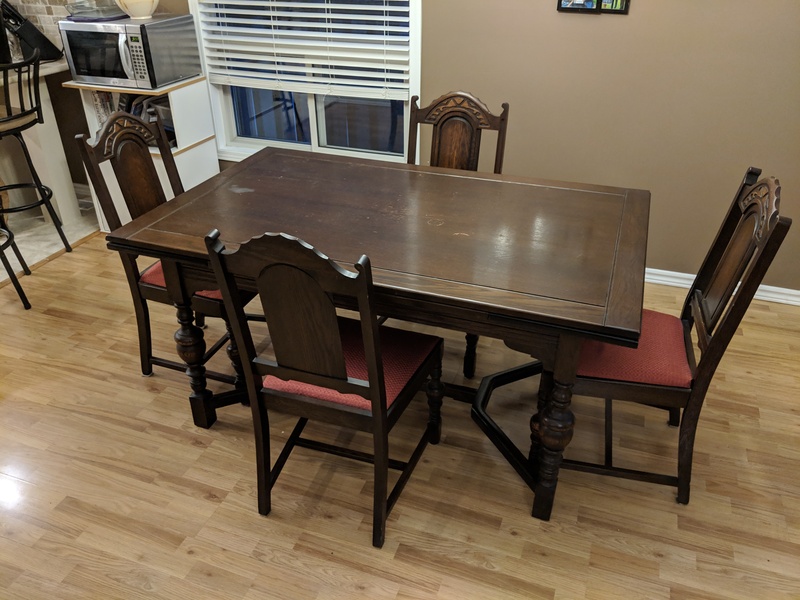 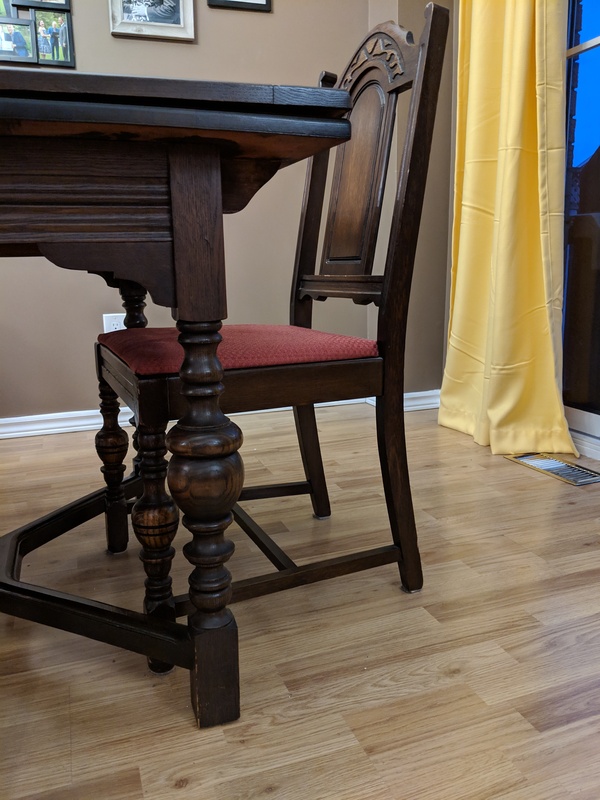 This table was originally part of a set (with hutch and sideboard), and 2 head chairs, but those pieces have been sold separately over the years. 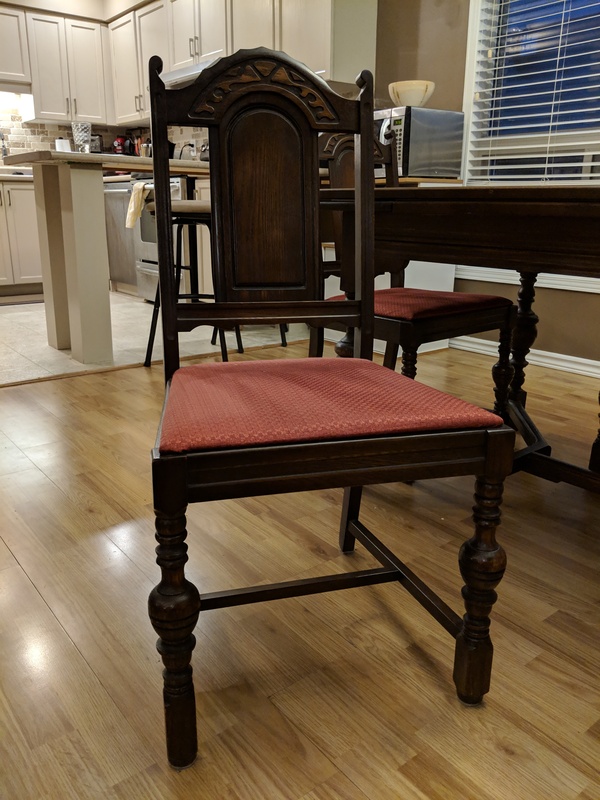 Chairs have been reupholstered twice (that we are aware of). 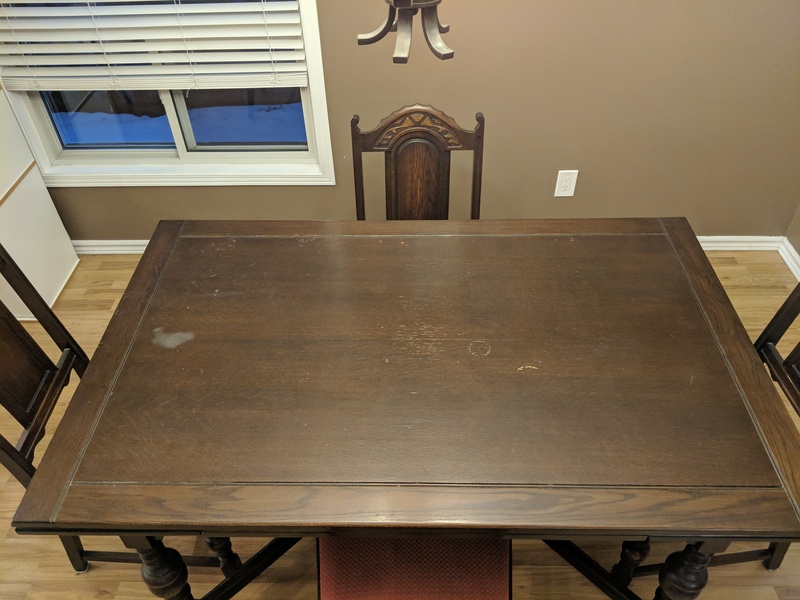 Table and chairs still in good condition (slight scuffing/wear and tear on top of table).